The jumps season is well and truly into the swing of things and this is the time of the season where we start to see the big horses for the season come out to play and that is exactly what is happening this weekend where Footpad is set to make his seasonal Reappearance in the Grade 3 popular Square Chase at Naas or the Grade 2 thetote.com Fortria Chase at Navan. 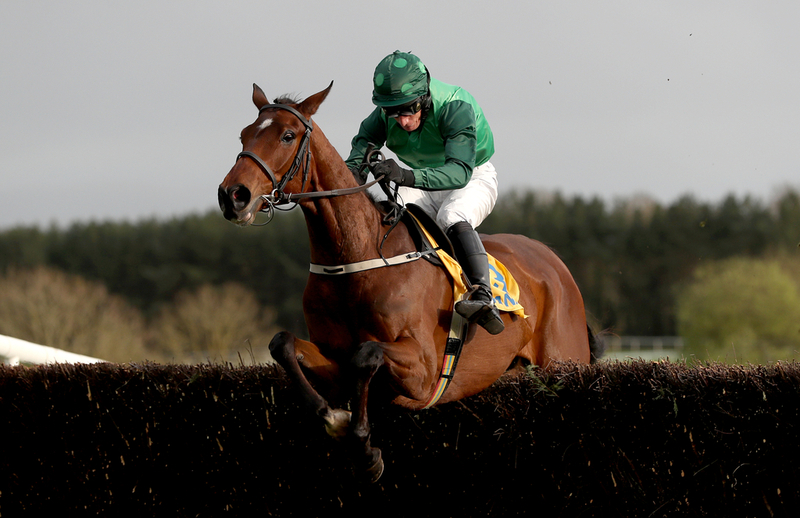 Footpad was unbeaten in all five of his starts last year and went on to take four Grade 1 contests in the process including the Racing Post Arkle at the Cheltenham festival. Now the rain has started to fall more frequently in both Britain and Ireland, this has allowed the ground to ease and give the big horses the conditions they need to put on a show of brilliant jumps racing. Willie Mullins revealed some quite exciting news last week about Footpad and that was he could head this season to Kempton on boxing day to have a go in the King George but before that he said his first run of the season would be over two miles and that looks like it will be the case. Another entry in both the same races as the Mullins horse is Saint Calvados trained by Harry Whittington who finished fourth and way behind Footpad in the Arkle this year after being sucked into the strong early pace that he couldn't last for the duration of the race. (Credit Racing Post) Assistant Trainer Alice Whittington said: "Our main target was to run in the Haldon Gold Cup but we didn’t get any rain so we had to look elsewhere. "We had a look at the Poplar Square Chase when it reopened for entries. It's a race for second-season novices and that’s not a type of race we have a lot of in England. It could be a good starting point. "We've also put him in at Navan and we’ll see how the races are shaping up. Thankfully there is rain forecast for later in the week, so we’ll be making every plan to travel and see what happens. "The other eyecatching entry in the Fortria Chase at Navan on Sunday is Great Field, the trailblazer who is unbeaten over fences having won all five starts for Willie Mullins and rider Jody McGarvey.